It is a slightly manic hive of activity here, as I’m sure you can imagine. 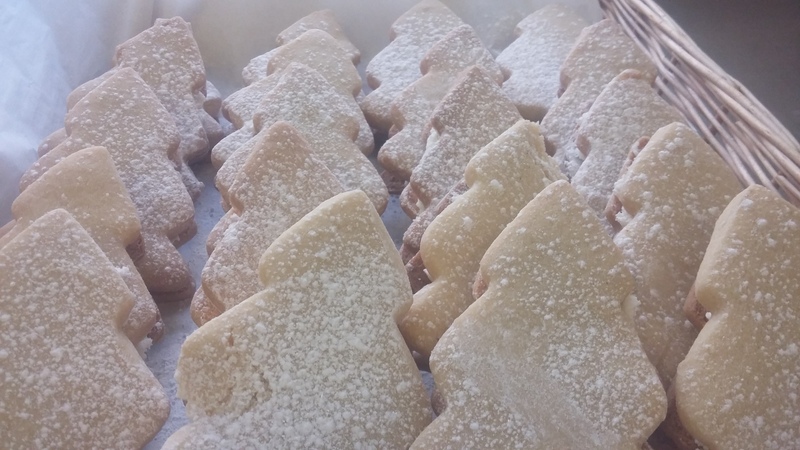 There are mince pies, Christmas cake and cinnamon snowflakes as far as the eye can see. (Did you try the recipe? 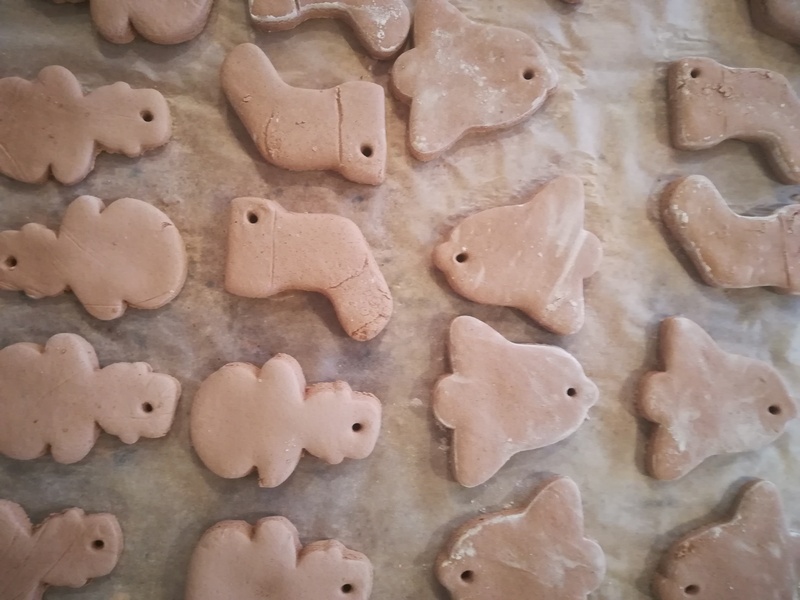 Aren’t they delicious??) 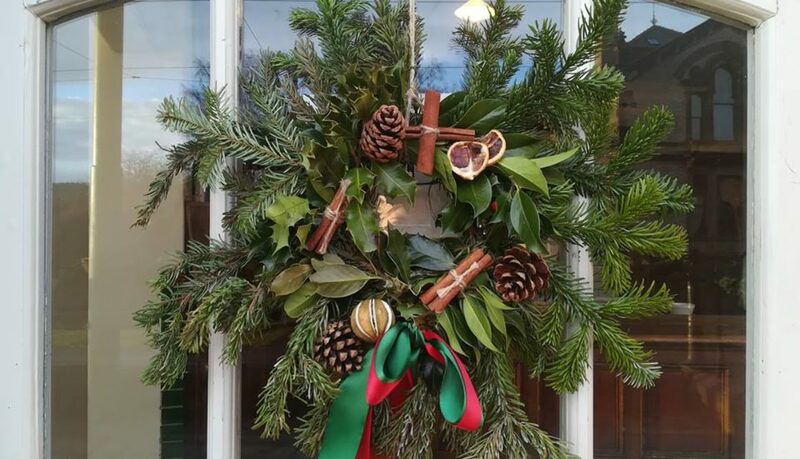 With this recent weather Jack Frost is definitely nipping at our nose! 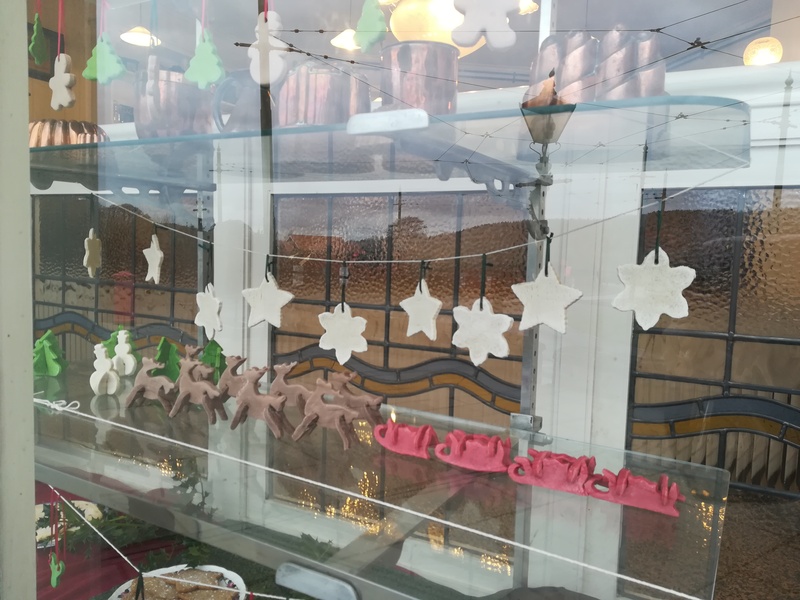 Even though we are bustling about like festive busy bees, there is still time to take a few snaps of what has been happening with us! We still can’t believe it’s so close to the big day! 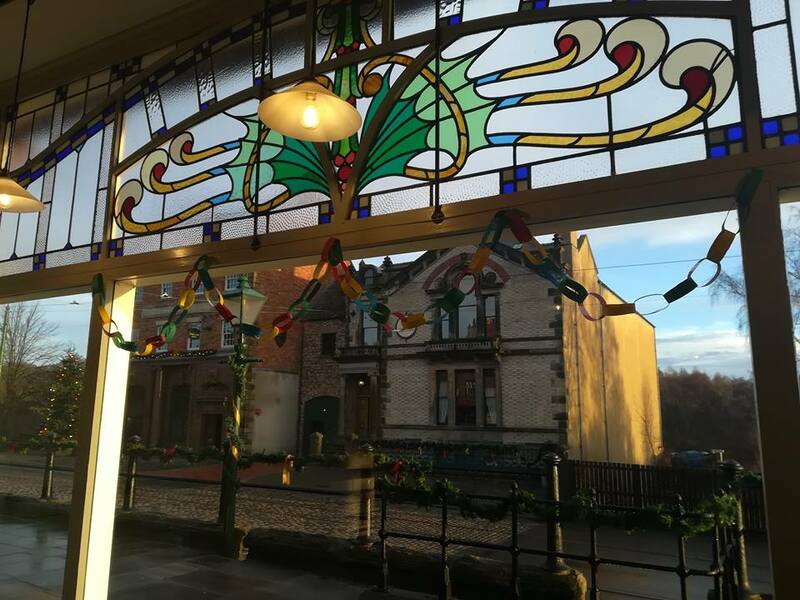 So please enjoy a few behind the scenes shots of what we have been getting up to, and have an extremely Merry Christmas, from all of us here at Beamish! 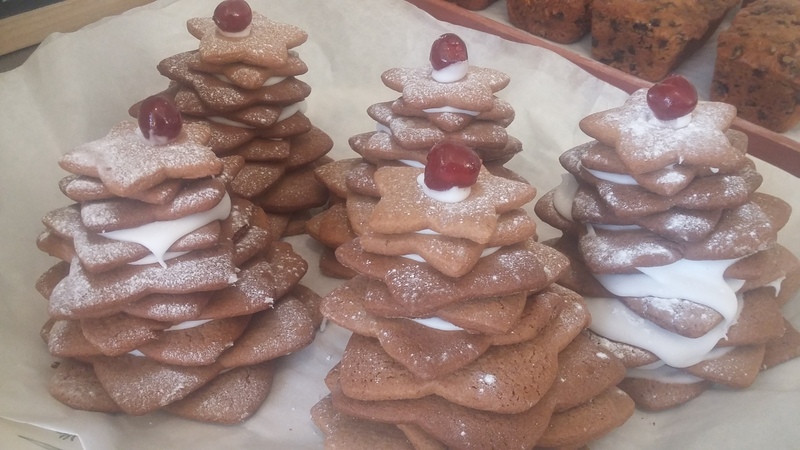 One of the undeniable best bits of this time of year is all of the edible goodies! 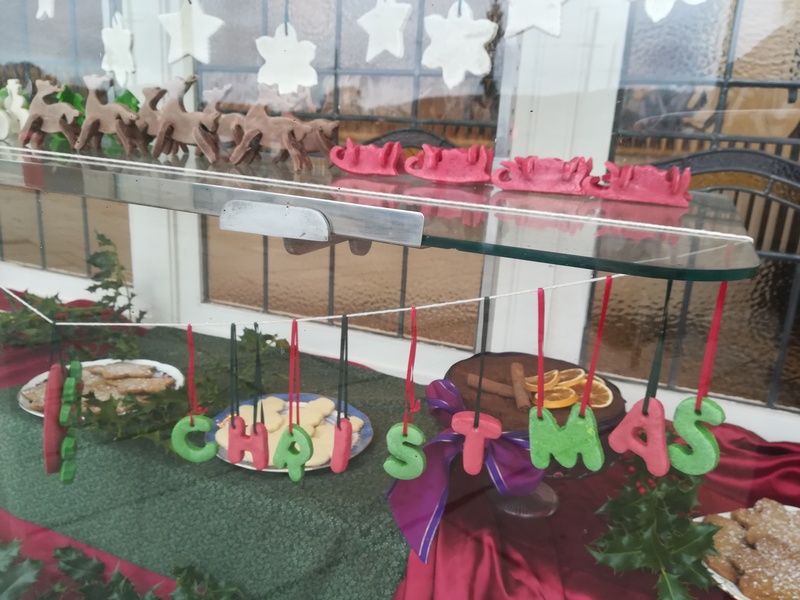 Whether it’s the traditional Christmas cake or lavish gingerbread creations that you just HAVE to have every year, everyone has their own ways of celebrating with food. 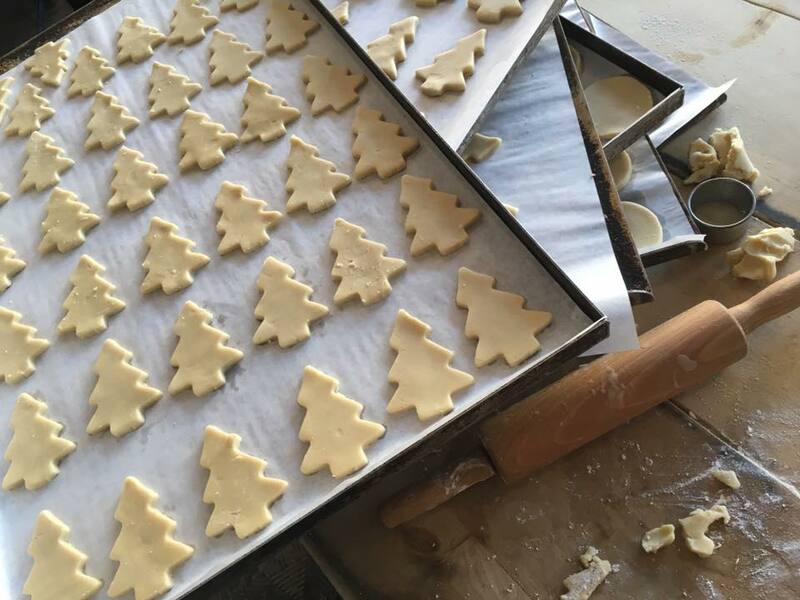 Something that evokes the festive period for me is that unmistakeable waft of Christmas baking drifting through the kitchen. 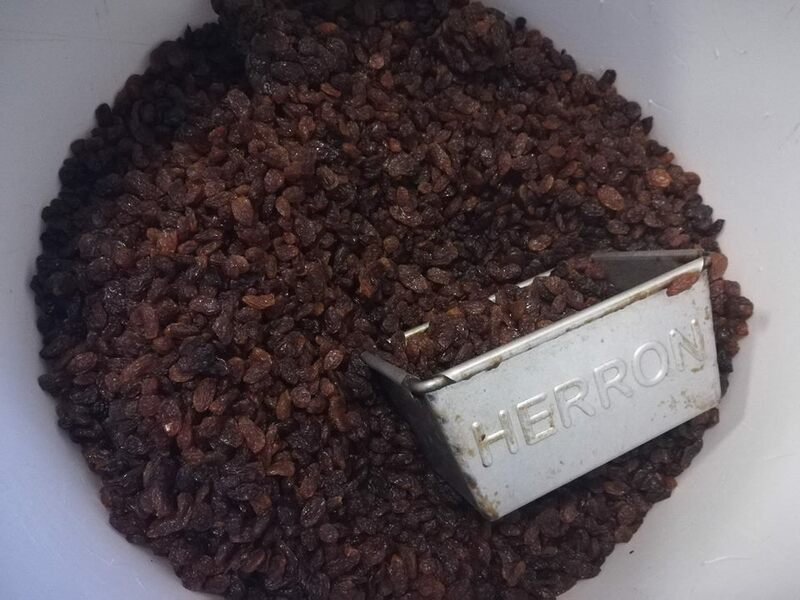 When you try to sum this aroma up what do you think of? 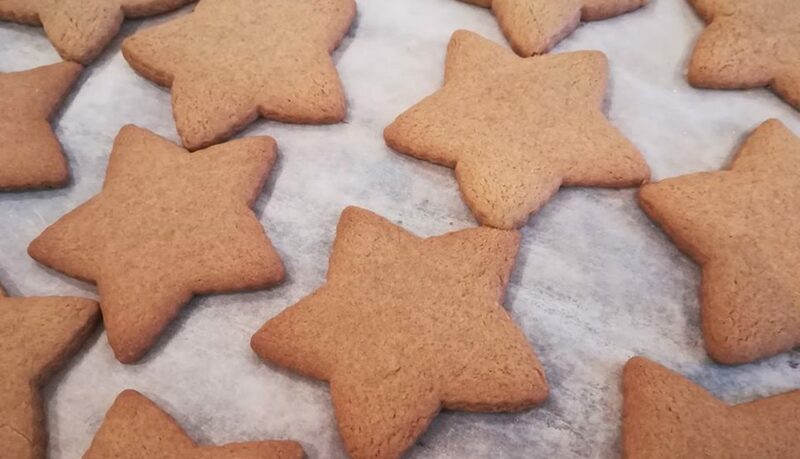 Unless you have a completely different version of baking traditions to us (if you do, please let me know, I always love a new recipe) it is always the festive spices that come to mind. Nearly every festive recipe I think of – heavily fruited mince pies with warming nutmeg, to mulled wine with the kitchen sink of spices (and contents of the alcohol cupboard) thrown in, I always come back to these warming spices. 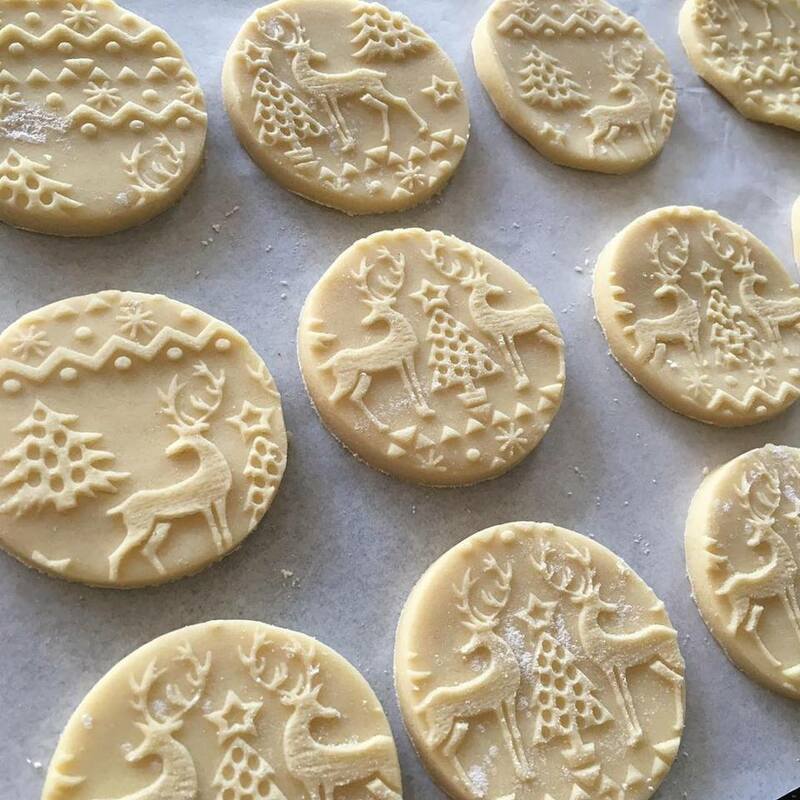 These traditional flavours have been part of our celebrations since medieval times and beyond. As these ingredients were so costly their use was a real show of money, so as you can imagine they were shoved into any recipe possible, in liberal amounts. The combination of sweet and savoury seems like a modern idea now, with things like salted caramel being so popular, but how would you fancy a pie combining beef with raisins, ginger and nutmeg? It’s no coincidence that mince pies have this name, traditionally a lot of meat, or savoury dishes had various spices thrown in. 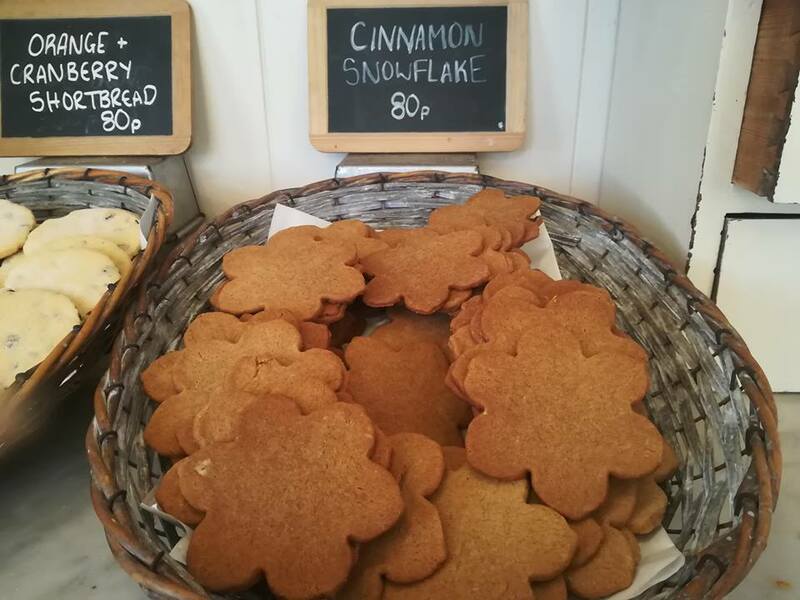 If you fancy avoiding putting meat with the contents of your spice cupboard, why not try the super popular cinnamon biscuits that we make in Joseph Herron’s Bakery? They are absolutely scrummy, and perfect for those who want to enjoy one of the spices synonymous with Christmas, but aren’t a huge fan of the dried fruit that normally comes with it. 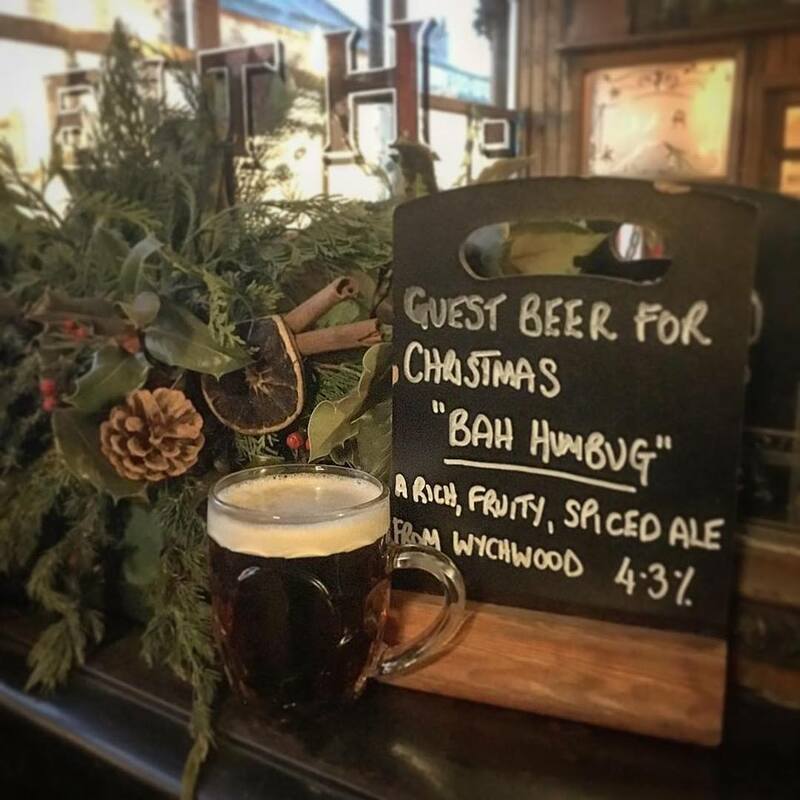 So when the madness of the festive season is getting you stressed and decidedly un-Christmassy, tuck yourself away with a cuppa and a few of these… It will do you the world of good! Preheat your oven to 175c or gas mark 3. Cream together the butter, sugar and syrup. 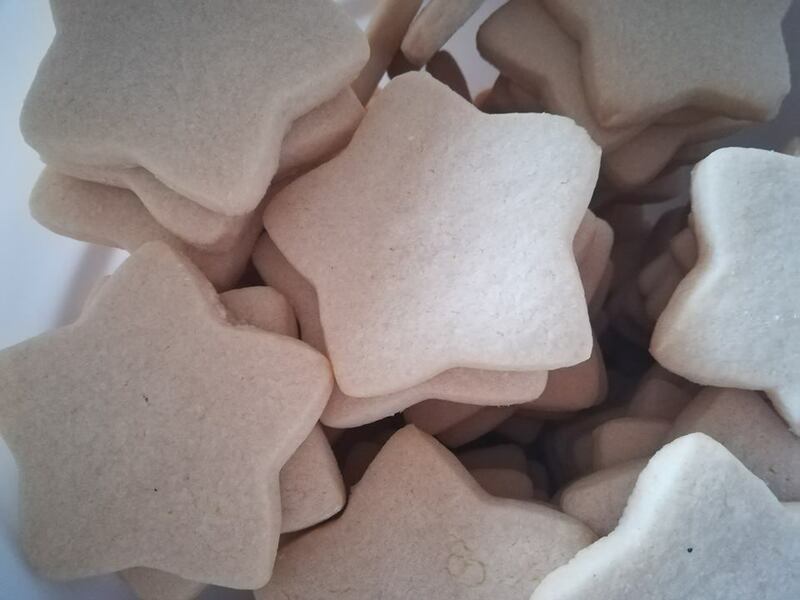 Mix in the flour, cinnamon and bicarb until you have a smooth dough, try not to overwork and make sure you use it straight away as the bicarb doesn’t work as well if it’s left too long. 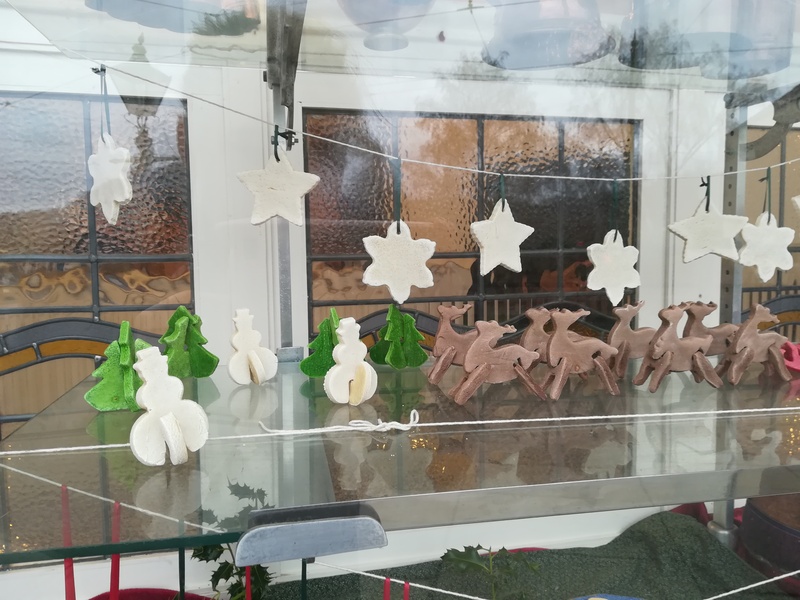 Roll out onto a floured surface to about half an inch thick and make whichever shapes you want, we make ours into snowflakes! Bake for 13-15 minutes until slightly more firm and coloured. 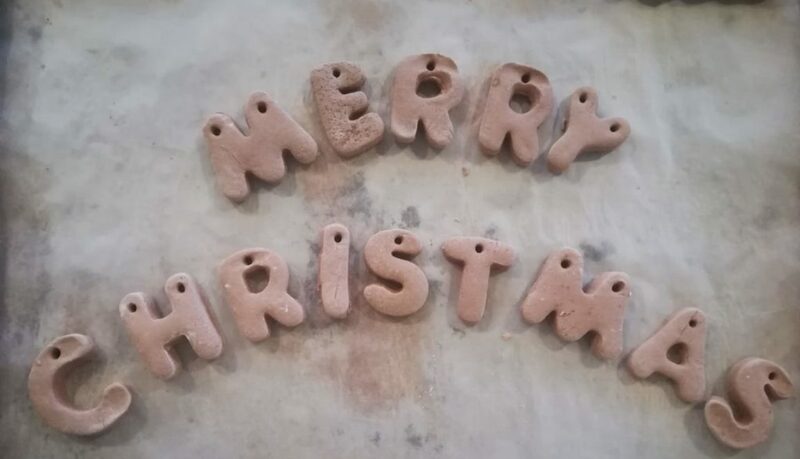 If you are feeling super creative, or want to keep little hands busy, feel free to decorate with any icing of your choosing! 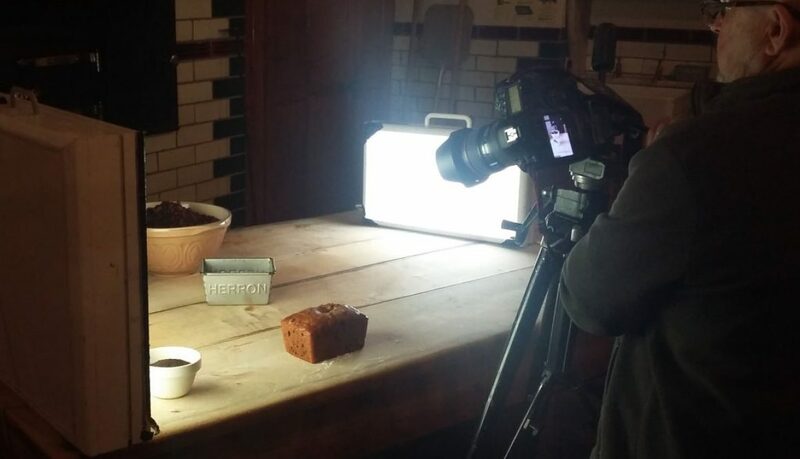 We are working on something very exciting at the moment and I cannot keep it to myself any longer… our very own Beamish Cookbook! 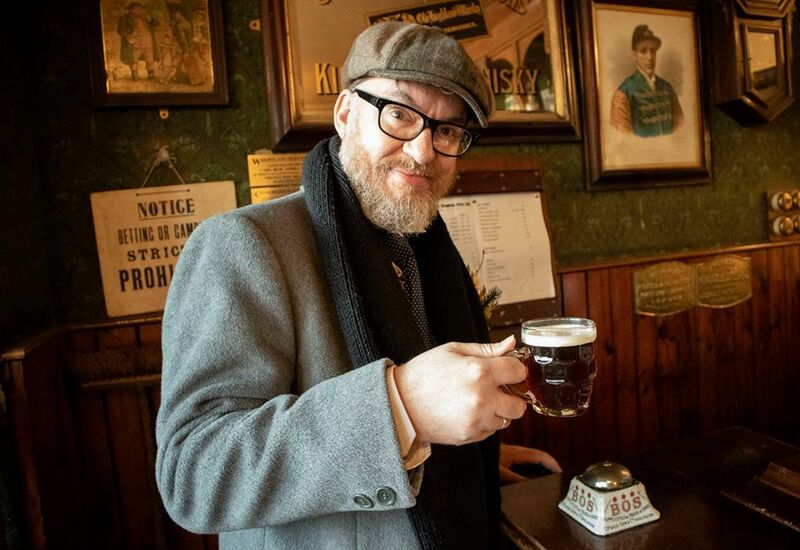 You can only scarcely imagine how excited we are! The book has been in the pipeline for a number of years, but unsurprisingly there have been a lot of distractions along the way. 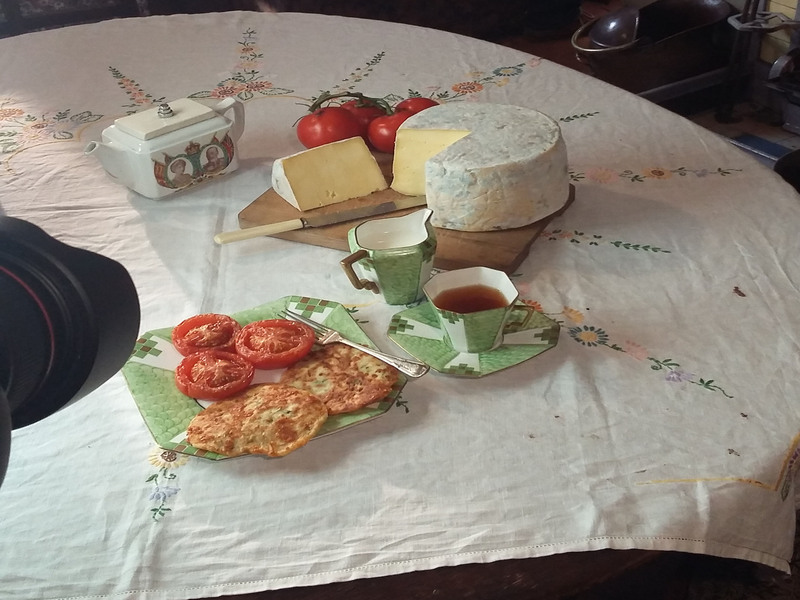 One huge step forward that we have taken in the last few weeks is a photo shoot of some of the yummy bits and bobs that are being featured in the book. I thought as a special treat (just in time for an early Christmas present) I would show you some behind the scenes shots that I took! 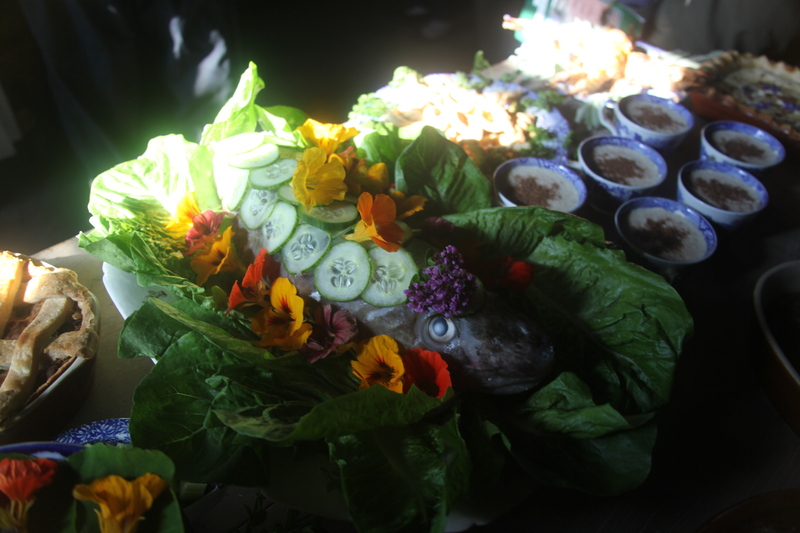 What is so lovely about working on this cookbook is how much inspiration that is available to us. It is almost impossible to narrow down all of the ideas that we have been having! From the recipes that are mentioned to us by visitors, to all of the cookbooks that are in our collection (amazingly some are handwritten) we have been spoiled for choice. 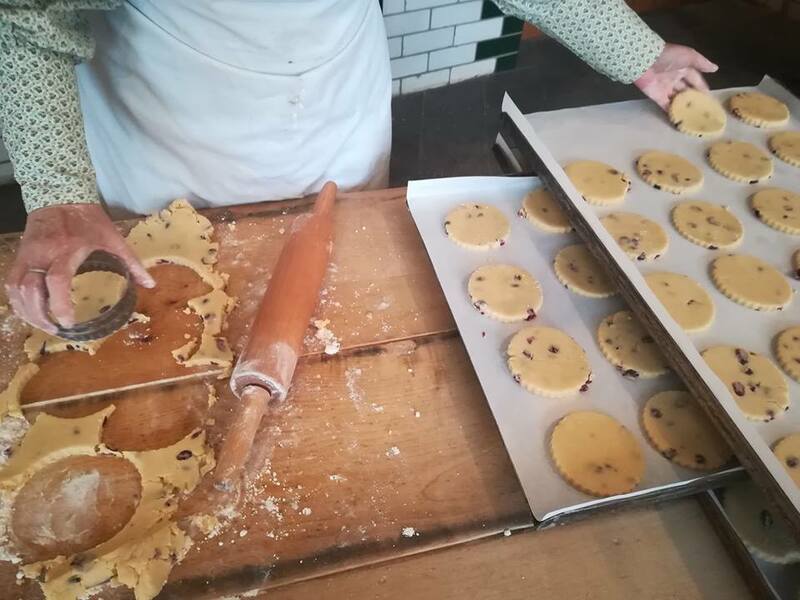 Somehow we have managed to narrow down the seemingly endless possibilities and come up with a number of recipes that we think best showcases the history and food that we represent here at Beamish. 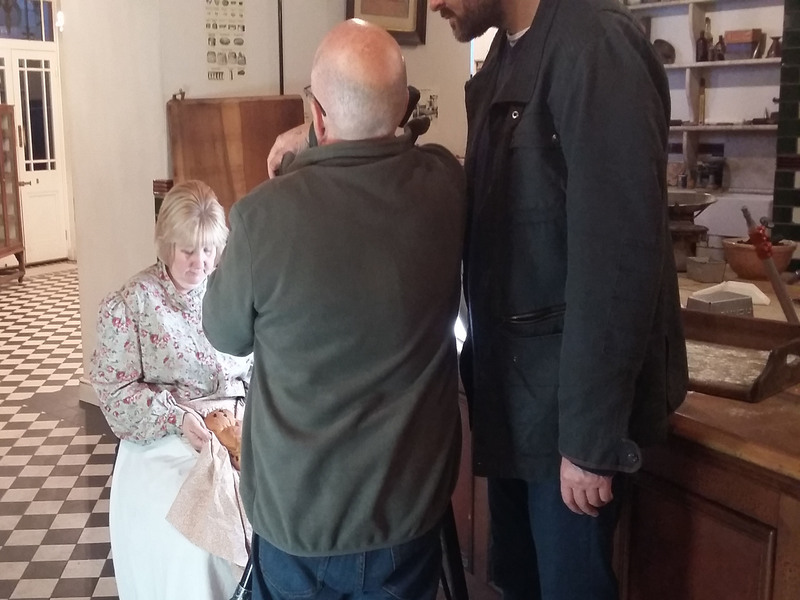 Keep your peepers peeled for more developments, Beamish Food Online will be the place to hear the latest! We have started to notice something happening over the last few weeks… the feeling that autumn is here. The leaves around the museum site have just started to turn from their usual vibrant green to more seasonally appropriate hues of rusty reds and pumpkin oranges. Everyone seems that little bit more wrapped up than in the previous couple of months, even considering the questionable summer weather we had! 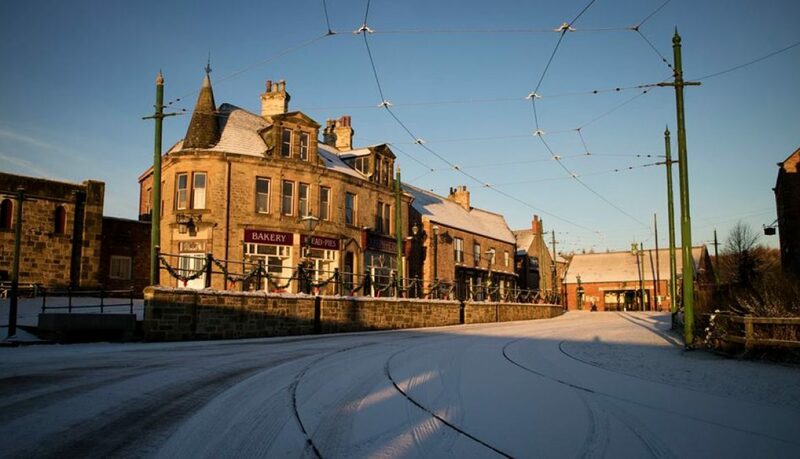 There is something so atmospheric about the cold autumn wind whistling down the Town street, really making the Living Museum of the North feel even more alive. The definite positive of this time of year; (for me anyway), is the start of autumn/winter food – no surprise there! As much as I love the fresh and bright tastes of summer, there is something deeply comforting about the more rich and warming flavours of the chillier months. 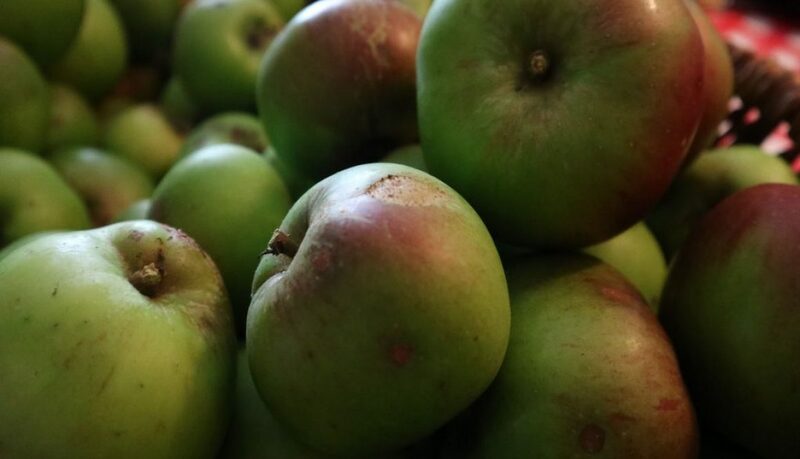 There isn’t a better sight, in my opinion, than walking into Pockerley Old Hall or one of the houses on Ravensworth Terrace and seeing something delicious coming out of their open ranges. Something to really warm you through when the weather outside is less than tropical! 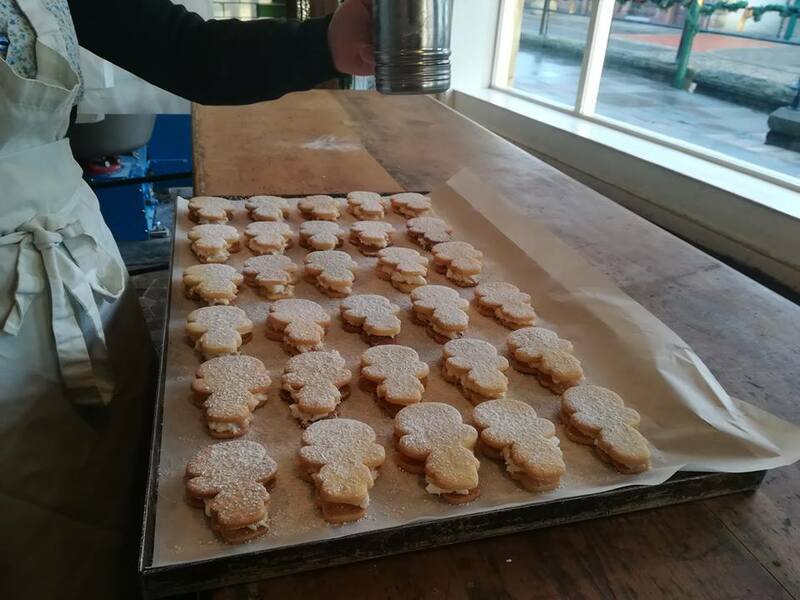 In Joseph Herron’s Bakery we have been making a start on our more autumnal creations – gone are the lemon flower biscuits of summer, making an appearance again are our dark ginger sponge (great warmed with custard, in case you were wondering) and spiced apple sponge. 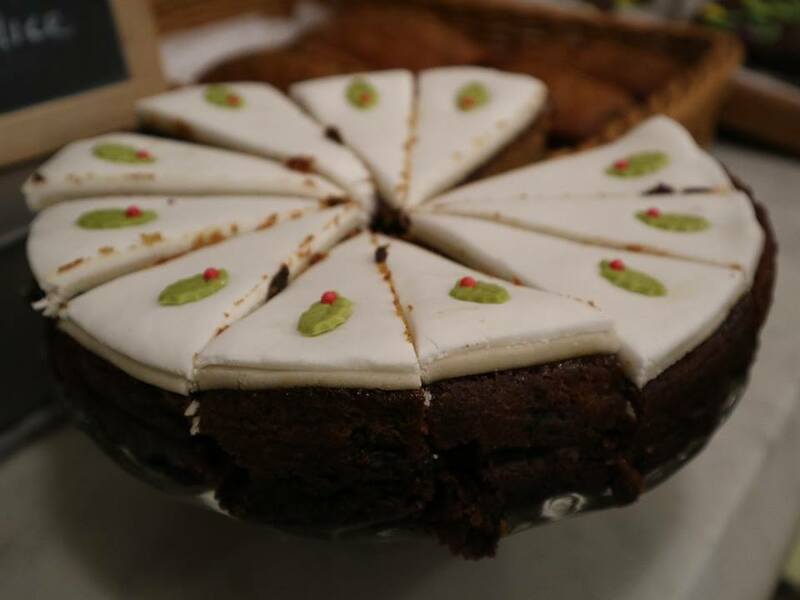 The spiced apple sponge is one of my personal favourites, especially including a few apples from our orchard at The 1940s Farm! 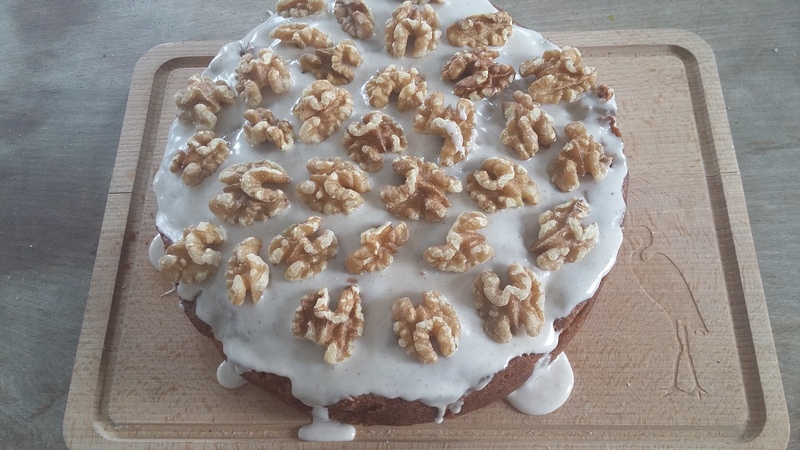 I thought that adding some tasty extras to this old favourite might be a nice way to ease ourselves into the new season – cinnamon icing and walnuts anyone? This recipe is the perfect taste of autumn, and all the better if you can find a nice crackling fire to sit beside when you’re eating it! Preheat your oven to gas mark 3/160C. Peel and core the apples, and cut into half inch pieces – just needs to be roughly chopped! Pop the prepared apples in a bowl and add the juice from the lemon to stop them from browning. 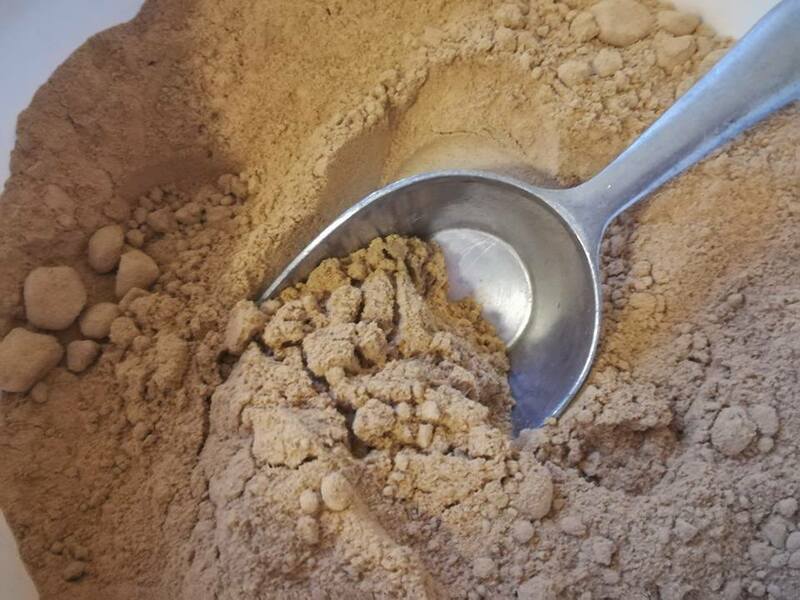 In a large bowl, sift together the flour, spices and baking powder. Carefully rub in the butter with the tips of your fingers until it is all combined. Mix in the eggs and gradually add in the milk, you may not need all the milk depending on the size of your eggs – you are looking for a smooth, thick batter. Fold in the apples – if there is any lemon/apple juice coming off the apples try not to add this to the cake mix as it might make it too wet. Bake in the oven for 40 minutes, or until a skewer comes out clean. 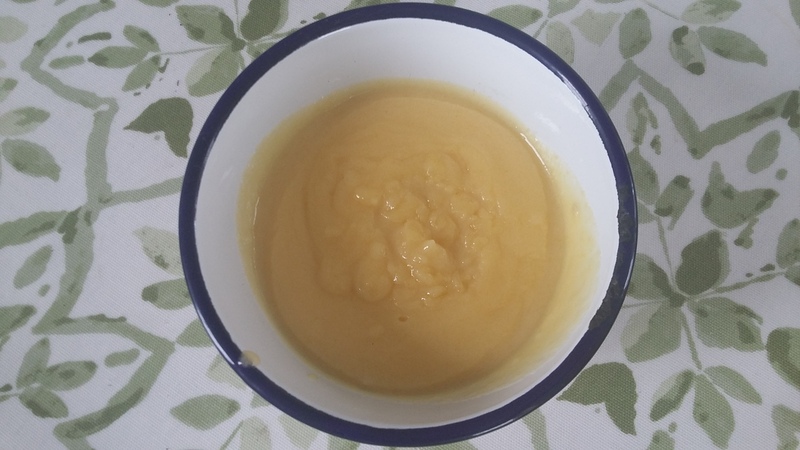 For the icing, sift the icing sugar into a bowl and add the water really slowly – you want quite a thick icing – the consistency of custard. Add the cinnamon. 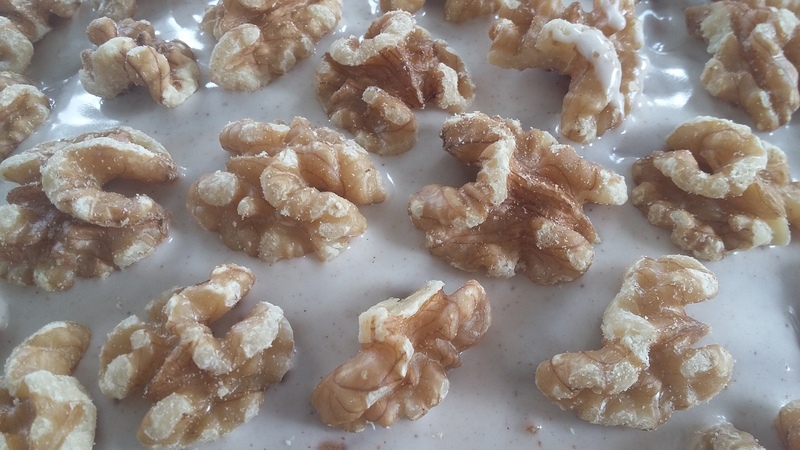 Once the cake has cooled, take out of the tin and top with the icing and walnuts. For those who don’t like nuts, feel free to leave these off, and for those who love nuts, add a few chopped walnuts to the cake mix before baking for some extra crunch! 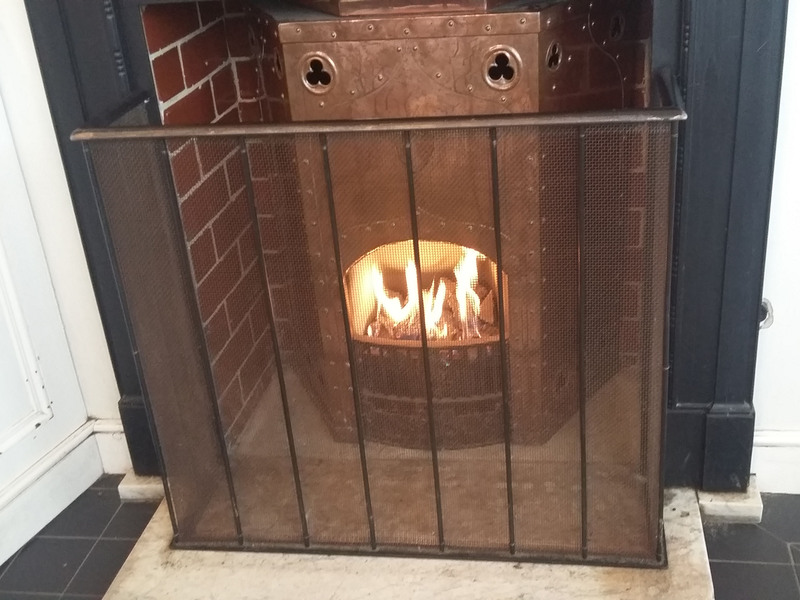 Perfect to enjoy on a blustery autumn day, sat by a crackling fire with a cup of tea! 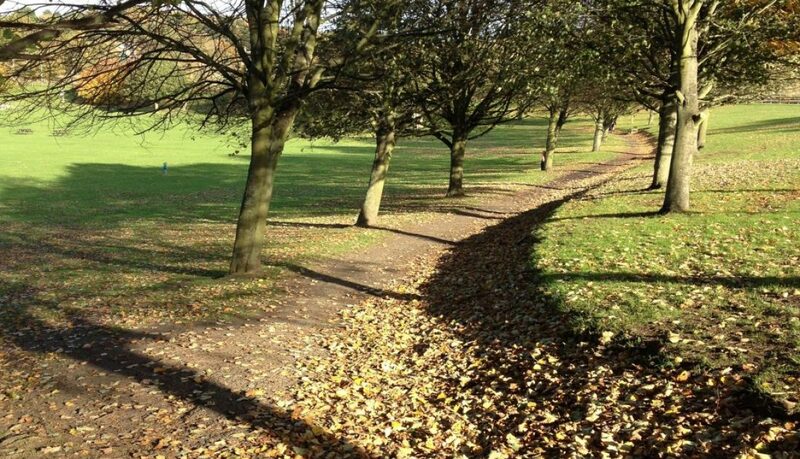 As you can imagine, the different seasons have a huge effect on us here at Beamish. 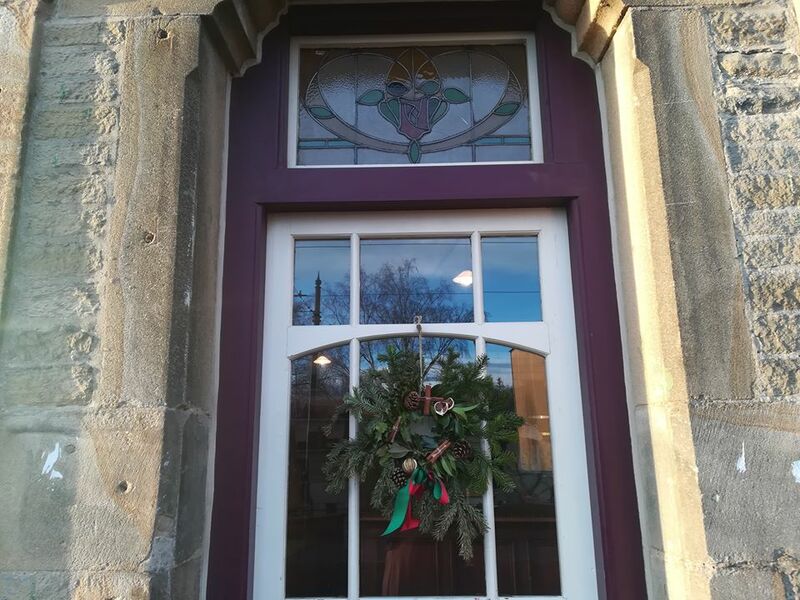 This is especially noticeable when you look at our fields; which crops are being looked after by our farmers, what is growing, and what can you see on our Georgian, Edwardian and Wartime tables? Many aspects of our lives at the museum are determined by the seasons, just as they would have been for the people of the past that we are representing. We are officially marking harvest-time at Beamish with our Harvest Festival and Harvest Home this weekend (Saturday, 30th September and Sunday, 1st October). 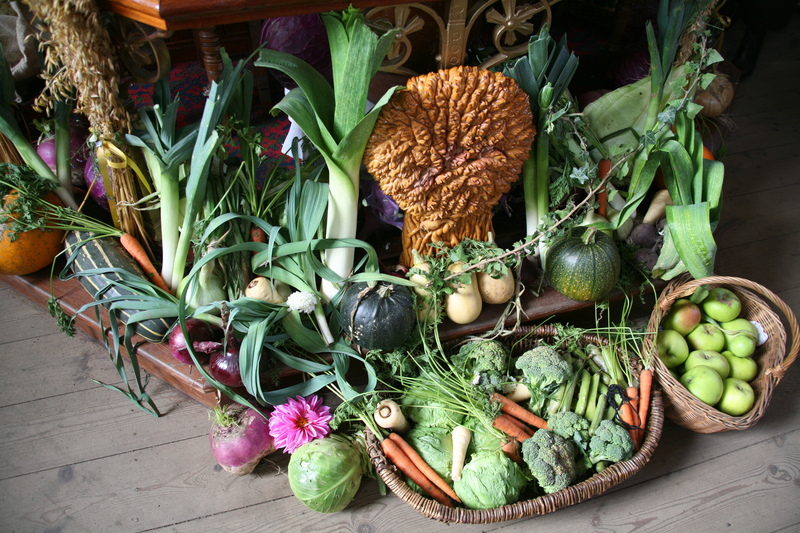 Harvest is one of the most important times of the year for our Georgian farmers, their table at Pockerley Old Hall is groaning with their harvest horde, which includes a whole pigs head, hand raised pies and chutneys. For people so governed by farming and the landscape around them, you can only imagine how important harvest time must have been to them. Every spare moment was spent taking in the harvest of crops and other goodies; it would have been one of the busiest times of year for those living in the rural North East of England. But with huge reward – you can definitely see that reflected on their food-crowded table. Also this weekend, we are celebrating the safe gathering of the harvest with our Harvest Home festivities. What better way to rejoice than with lots of food? Although there was perhaps less choice up at our 1940s Farm, their imagination definitely made up for it! 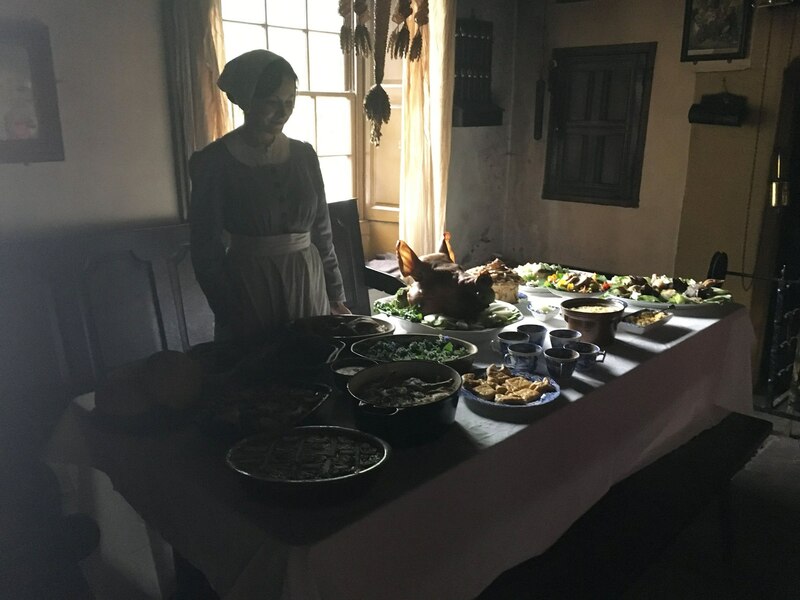 They would have enjoyed mock items such as mock goose and mock apricot tart, along with lots of different Spam variations, delicious! The importance of harvest time was still keenly felt even when rationing was in full swing, especially for our Land Girls who were lucky enough to have an allotment and small orchard to pick from. A greatly appreciated bit of variety to what could have been a monotonous diet of lentils and national loaf! 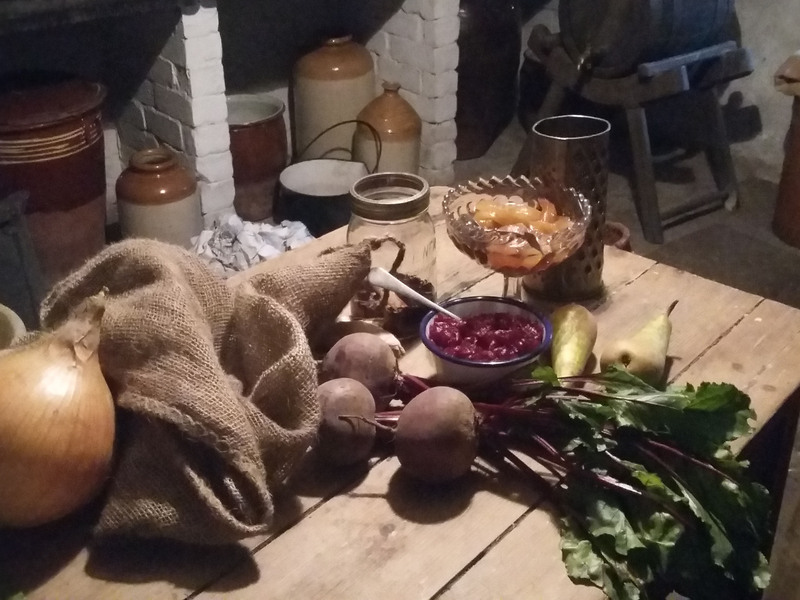 Harvest time was a great opportunity for preserving the bounty taken from the land, a housewife or maid who was skilled at making jams and chutneys would have been very popular indeed! 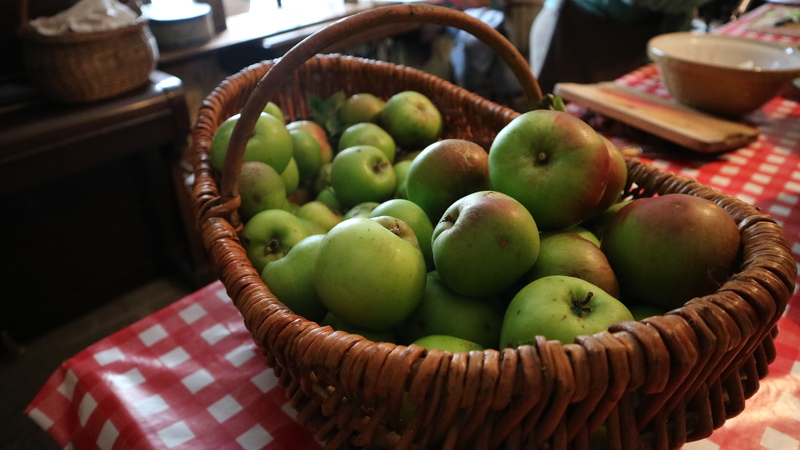 If the harvest was less successful, preserving would have been even more important and would have meant a bit more food to put on the table, especially in the middle of the winter when there wasn’t much else on offer. Join us this weekend to see our amazing harvest displays, sheaves of wheat a-plenty! 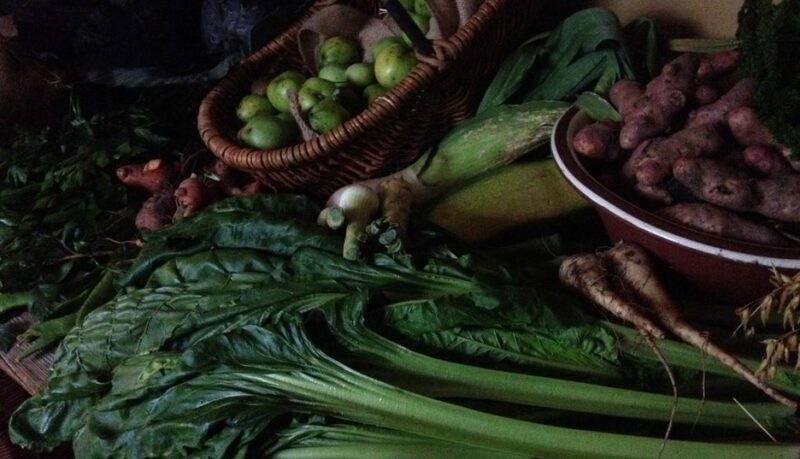 The bountiful harvest is everywhere you turn, come and enjoy the feast! 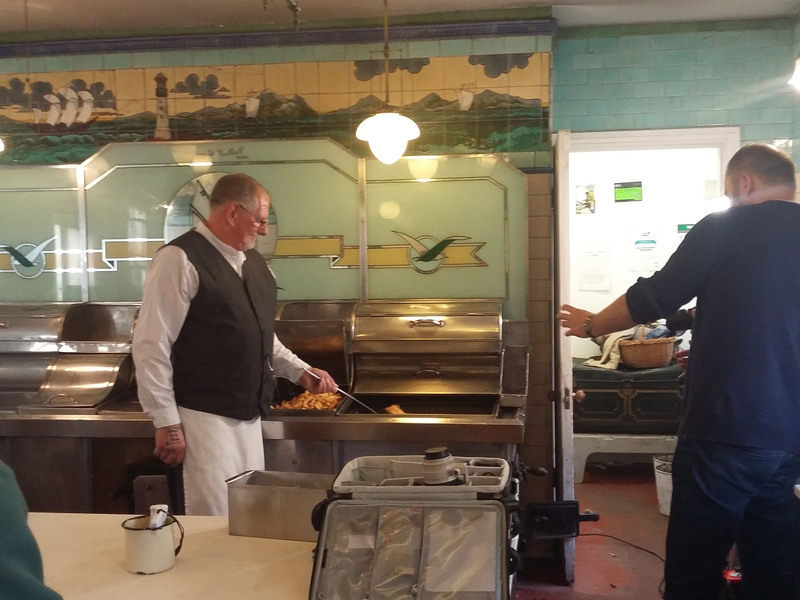 Preserving food has always been a vital part of the cook’s repertoire. 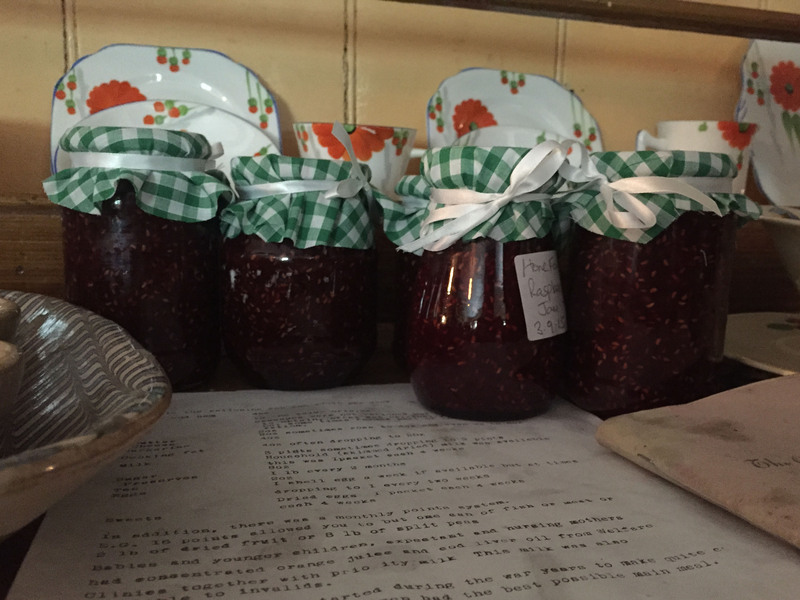 As we are in the middle of the Great North Festival of Agriculture (Thursday, 31st August to Sunday, 1st October), it’s the perfect moment to get some preserving done for our winter supplies. 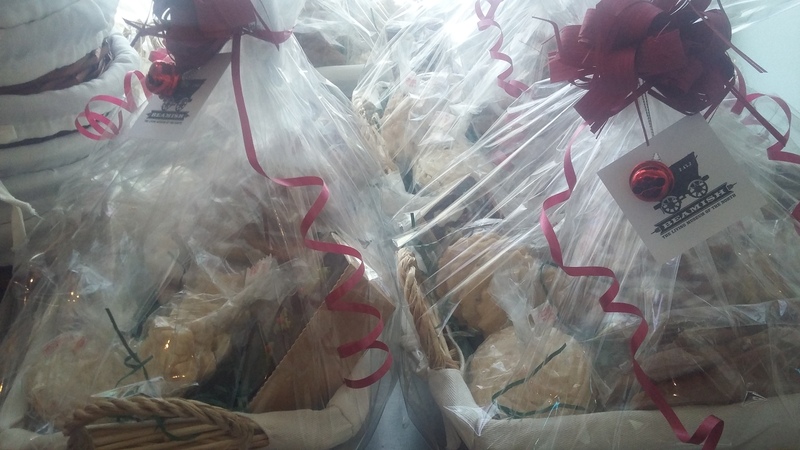 It’s the time of year where we have an abundance of goodies and we don’t want to waste anything! 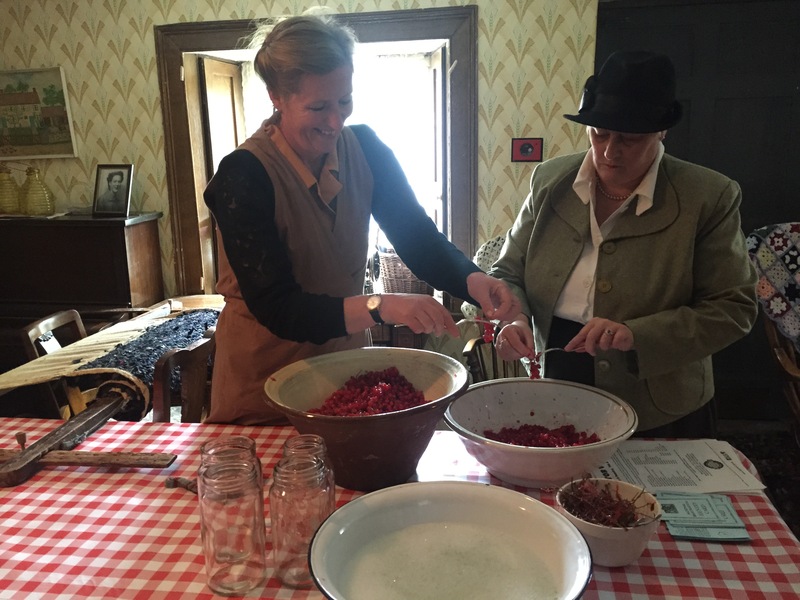 If you happen to pop through this weekend, we have Hands-On Heritage Skills taking place (Saturday, 23rd to Sunday, 24th September) where we will be making jam and chutney in our 1940s Farmhouse. Luckily for our Land Girls they have a small orchard and allotment, fit to burst with different fruit and vegetables that can be preserved to last us through winter. This will offer some well-appreciated variation to what could potentially be a very monotonous diet of mock goose (made with lentils) and national loaf! 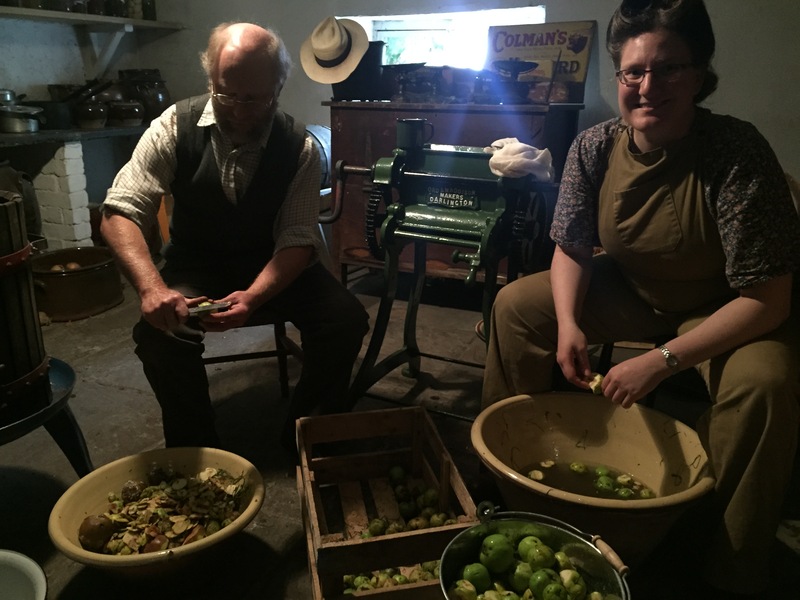 From Georgian farmers to wartime Land Girls, preserving food was an important part of the food calendar. This is especially true of these two periods, where there wouldn’t have been the imports that could be relied upon for bulking out meals or adding variation. 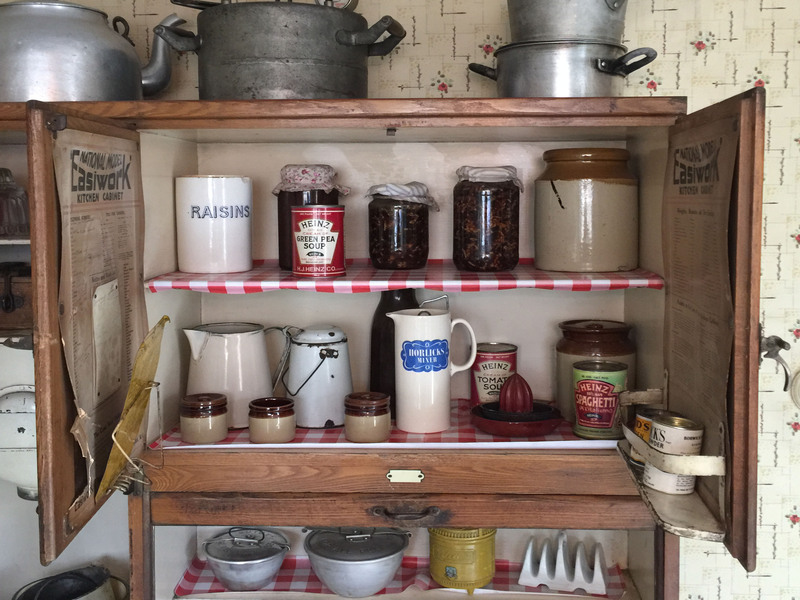 During the rationing of the Second World War, people had to be especially creative with their jams and chutneys, without the amounts of sugar used in the past. The usual ratio of fruit to sugar in jam is 1:1 (so for every pound of fruit, a pound of sugar was required) and although, sugar could be set aside specifically for preserving, in a lot of cases using sugar in these quantities was not an option. One very popular method that didn’t use any precious sugar was bottling. 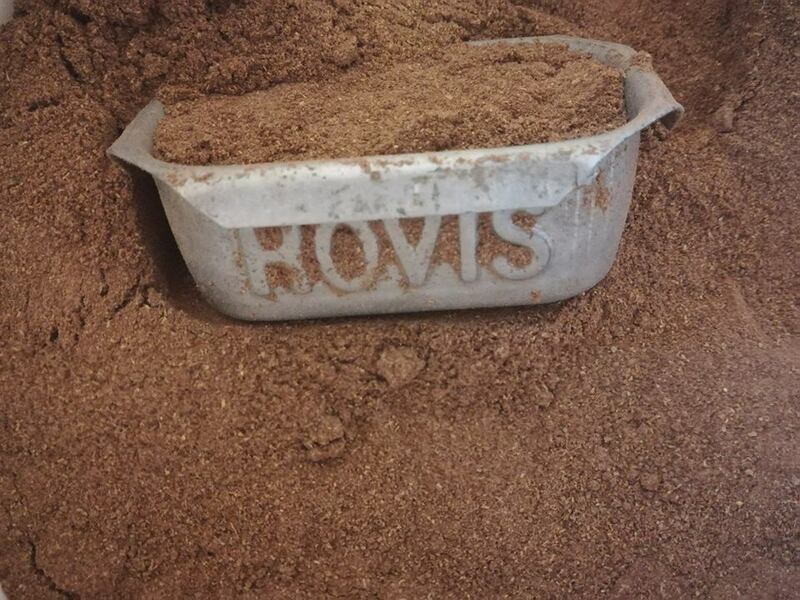 The absence of sugar meant it was a trickier process, as sugar not only adds to the delicious flavour of jam, but also acts as a preservative. It relied on boiling the bottle or jar full of fruit until a vacuum is created, so no nasties could get in and spoil the contents. An airtight seal was vital to its success, as was the know-how on how to achieve this – especially important when nothing could be wasted! Even though sugar is back on the menu, preserving fruit at harvest time is still a vital skill, one we cannot let slip away! When someone you know offers you their glut of strawberries from their allotment, or you pick far too much as your local pick-your-own, make some jam with it instead of letting it get fuzzy in the bottom of your fridge. I promise you it is easier than it looks and so satisfying! 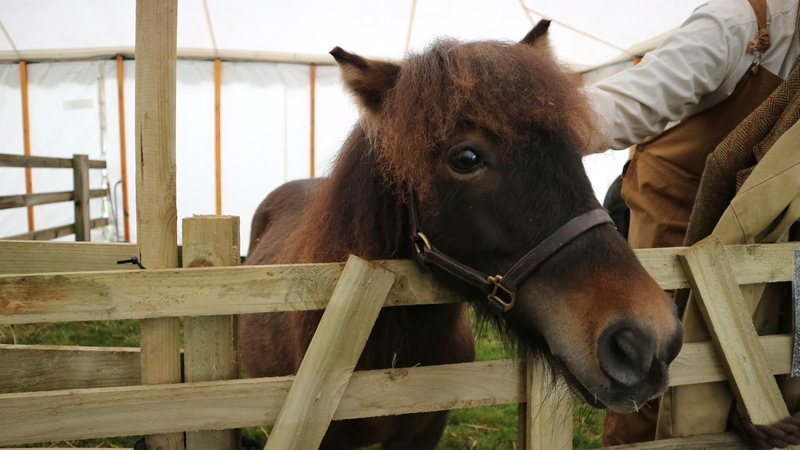 What a brilliant time we had at the Agricultural Show! 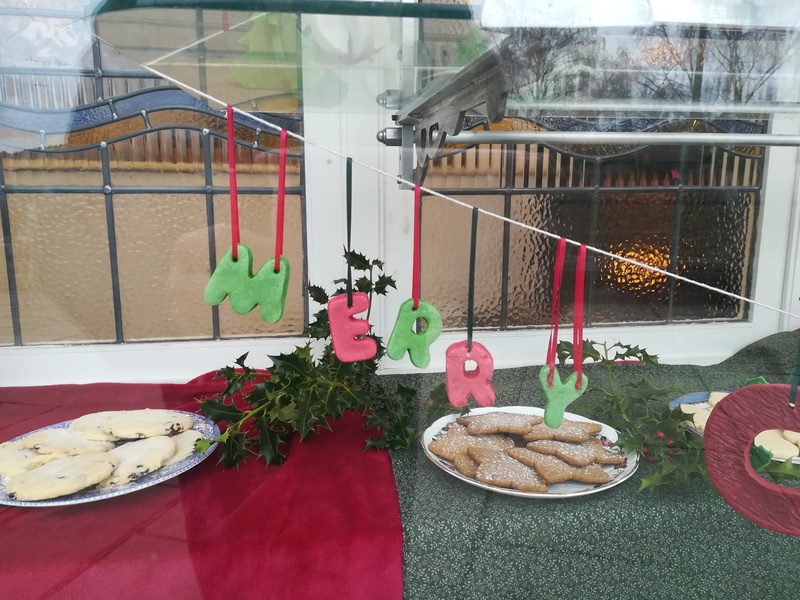 Even the slightly soggy weather on Saturday couldn’t dampen our spirits, definitely one of my favourite events of the year! 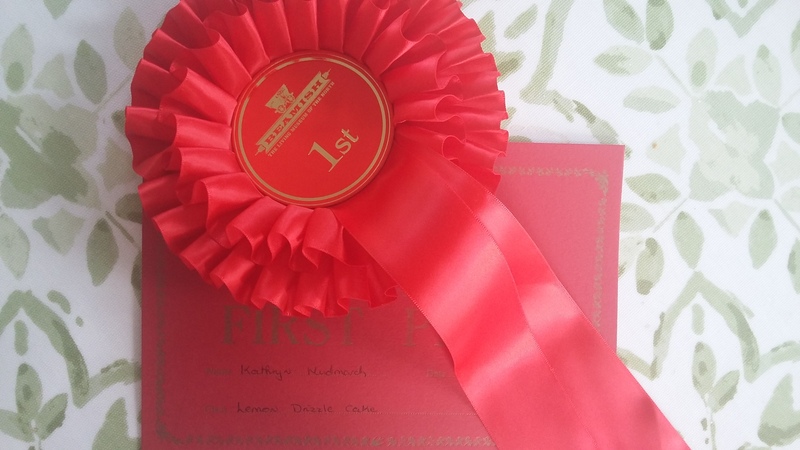 I am glad to report that my lemon drizzle cake was awarded first place, my proudest baking moment ever! Some of my Food Team colleagues won in their categories as well (the best peg doll I have ever seen), so a successful four days were had by all. 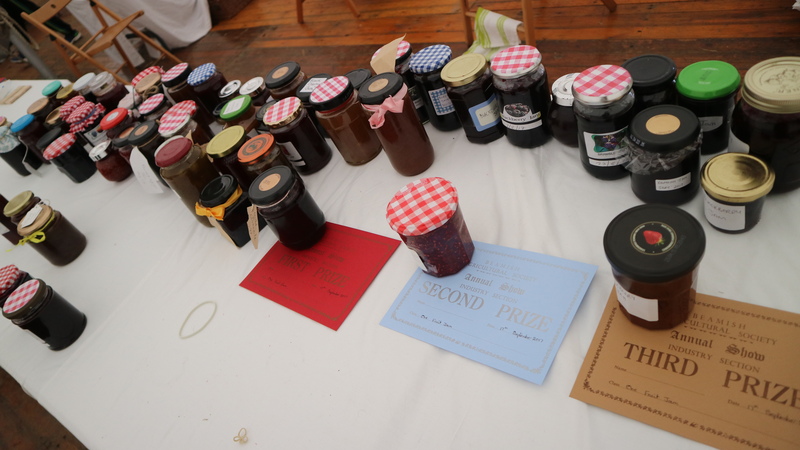 The competition was especially fierce this year – I have never seen so many jars of jam in my life! 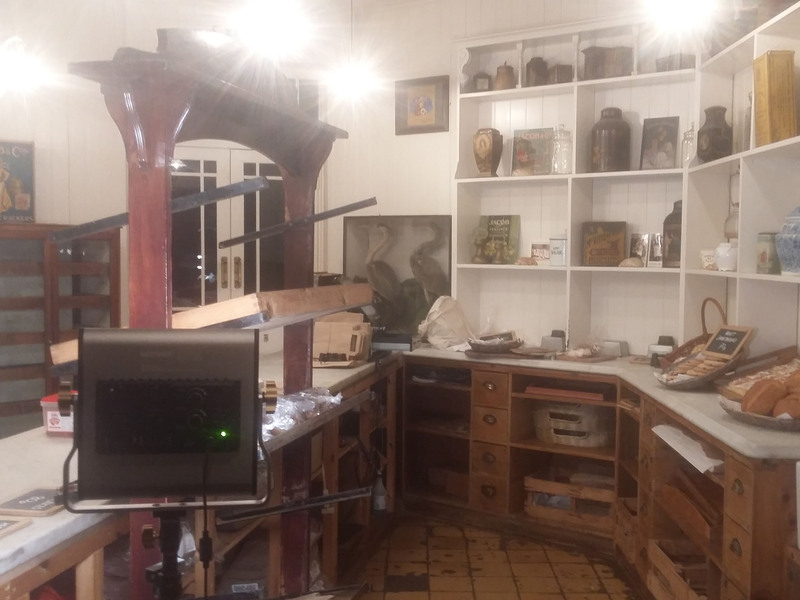 Think of all combined hours of stirring bubbling pots and scraping blobs of jam across plates for that all-important setting point… a very tricky business indeed. Even those who weren’t lucky enough to get a place had a fabulous time wandering around all of the brilliant exhibits, especially the super cute foals and other lovely animals. Every year it seems to get better! 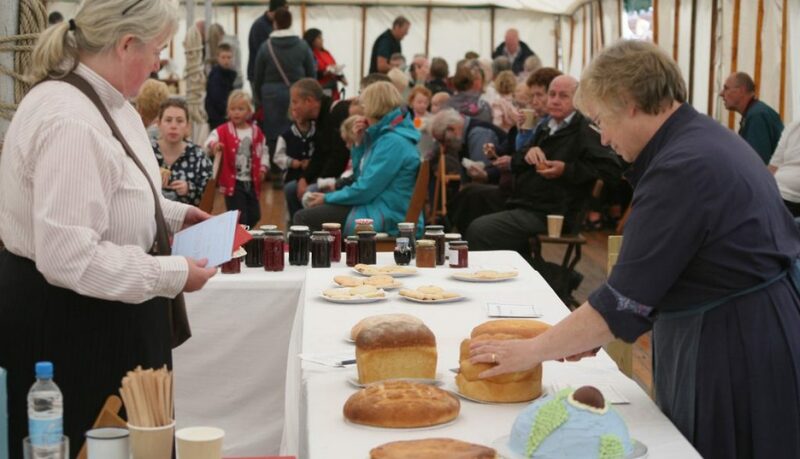 If you didn’t get a chance to enter this year, please do take part – there is a great atmosphere! Or if you did take part this year, there are different categories added each time, so always new things to try your hand at. I don’t know about you but I am going to start practising pretty soon for next year, lemon drizzle cake anyone? 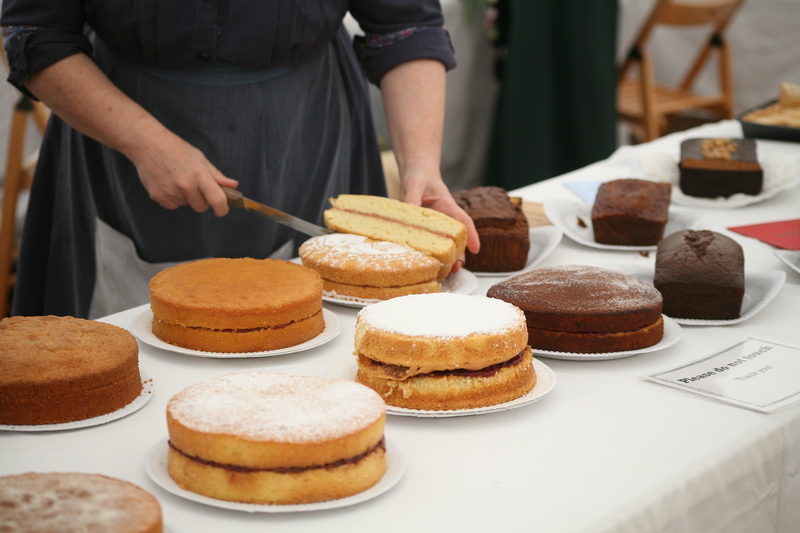 As strange as it sounds, the lead up to the Agricultural Show (Thursday, 14th to Sunday, 17th September) is starting to become one of my favourite foodie times of the year! 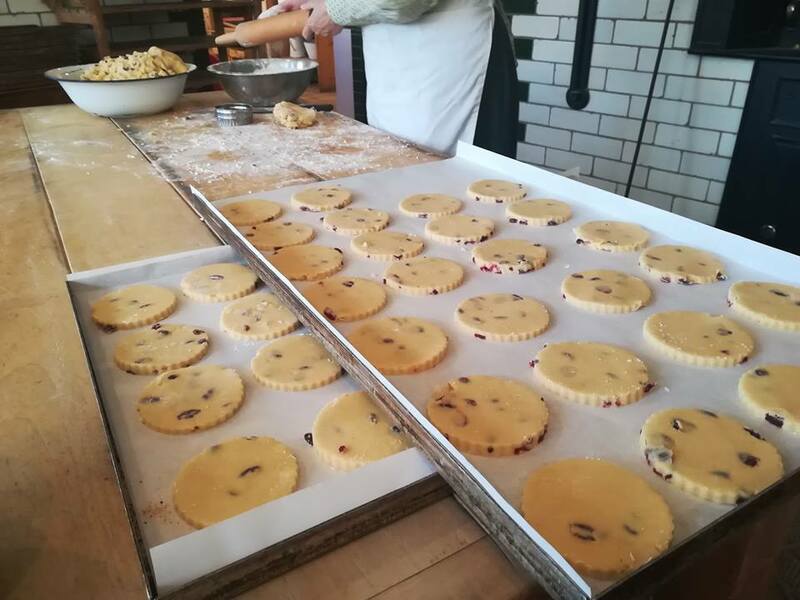 People who wouldn’t normally pick up a mixing bowl are trying out their cherry scone recipes or brewing their own damson wine! The enthusiasm is infectious, and a feeling of excitement is in the air. 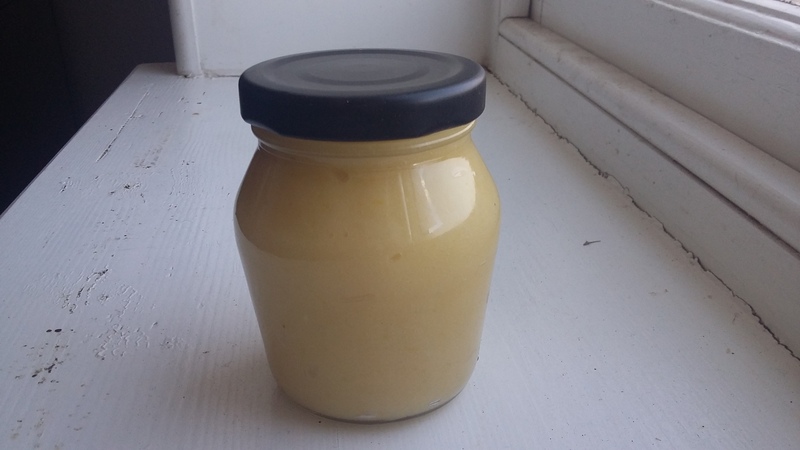 The slight competitive edge of potentially winning a 1st, 2nd or 3rd rosette can be intoxicating – even as an uncompetitive person usually I have been finding myself practising my lemon curd at every chance! 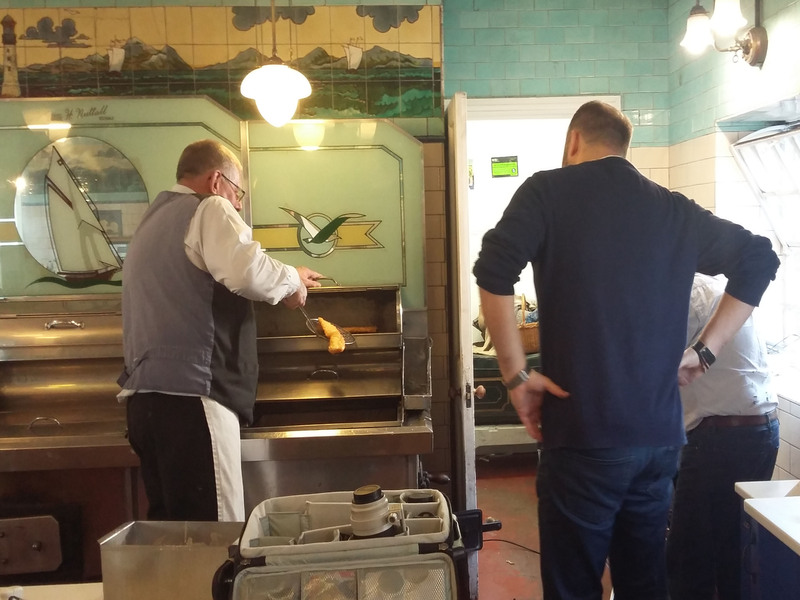 There is lots of natter about different ways of ensuring the lightest scones or getting the most juice out of those stubborn lemons, it really does bring everyone together. This year, I will be entering lemon curd and lemon drizzle cake, crossing my fingers and hoping for the best! 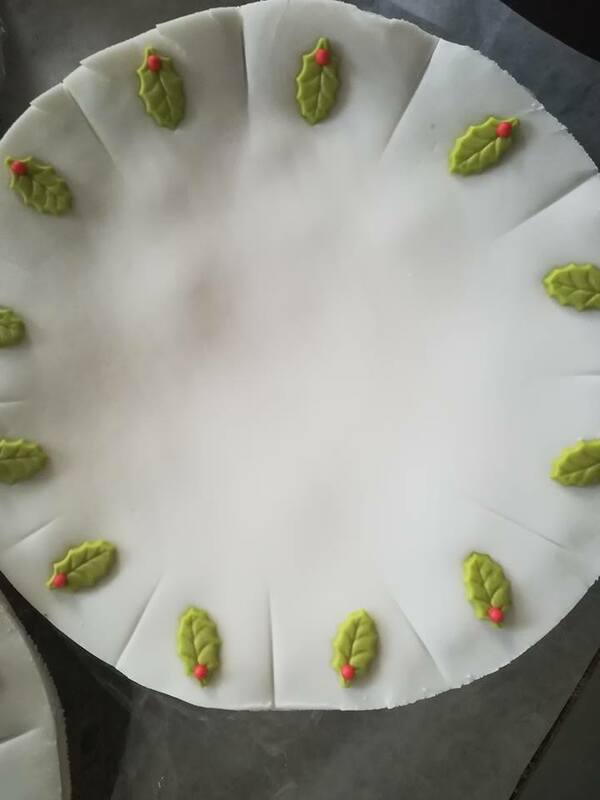 I have been practising in the bakery all this week (hoping for a lot of happy colleagues and family members on the receiving end), and if I say so myself they look pretty delectable! 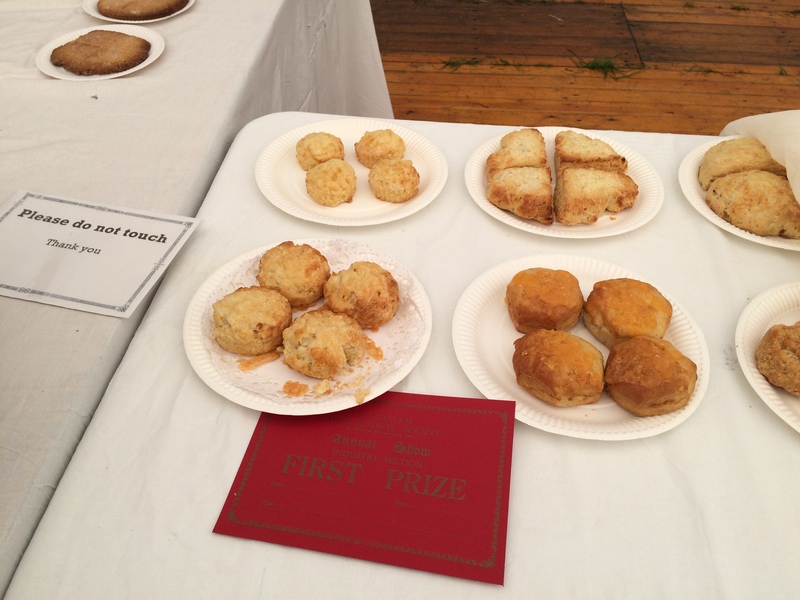 Last year my cheese scones, although yummy (I thought) and a favourite of mine, didn’t win that all important rosette, hopefully I will have better luck this year! 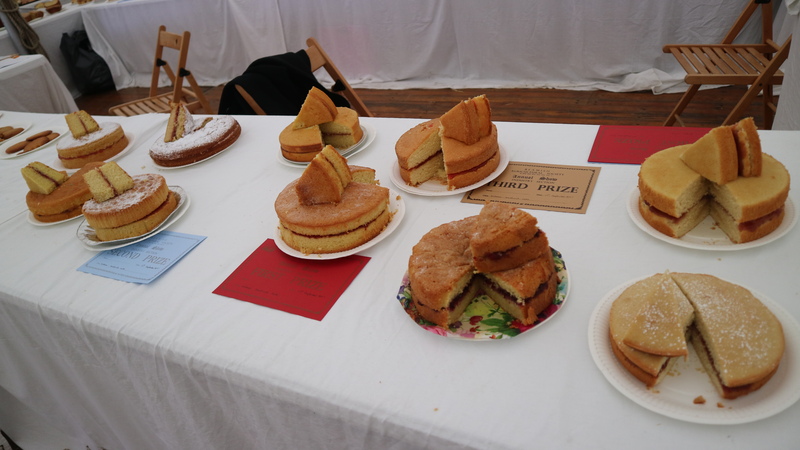 That is one of the things that I love about the Agricultural Show, half the fun is in making the goodies and talking to everyone about their entries, even if you aren’t a rosette worthy baker or crafter! 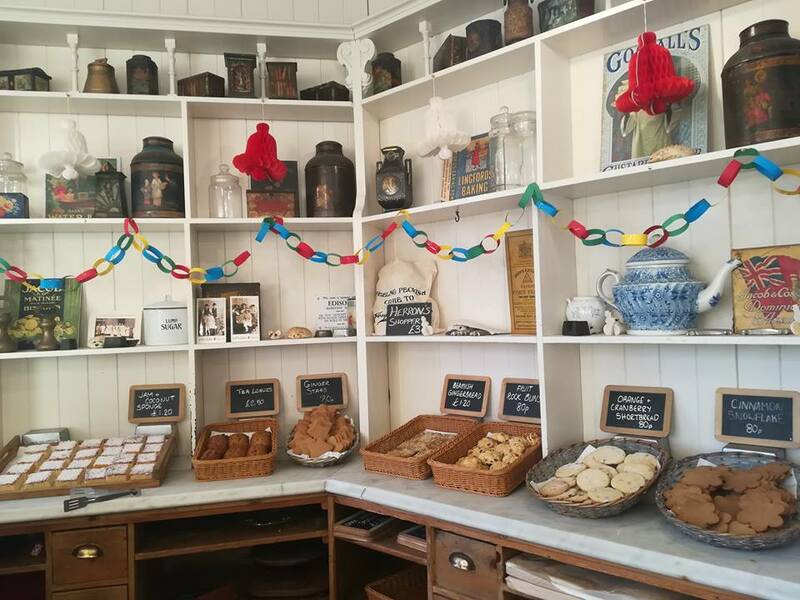 There are plenty of categories, from knitting to patchwork, and orange marmalade to corned beef pies, there really is something for everyone! 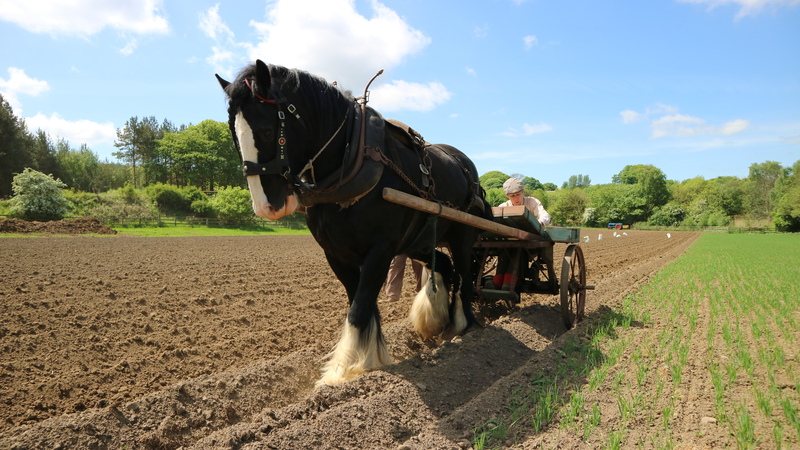 Have a look at our events page here to peruse the different groups, surely something with catch your eye and entice you into the world of the Agricultural Show at Beamish! Incidentally, there are other parts of the show that aren’t food or craft related, such as a brilliant birds of prey show and brass bands playing throughout, if the pressure of the judging in the tents gets too much for you! If you haven’t already, there is still plenty of time to enter, I have added the entry form here for you to use, no excuse now! Even if you a have a bit of a mishap, (which I am sure you won’t) there is even a “baking disaster” category. 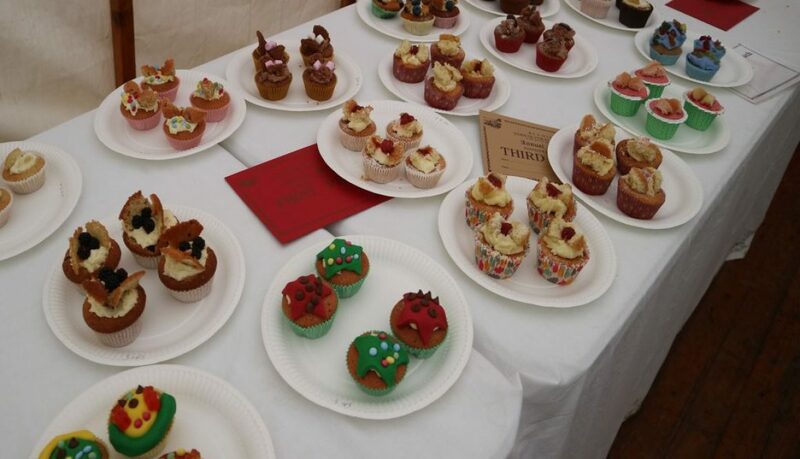 Some of the entries last year were brilliant! If you do pop along, with or without a carefully held cake tin, you will have a great time!